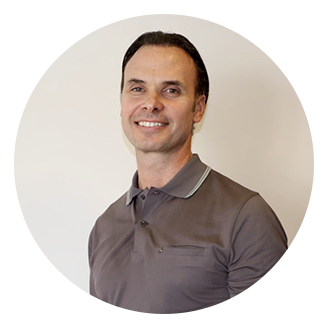 As a Remedial/Sports Massage Therapist, Luke has a broad range of experience, having always worked alongside Osteopaths, Chiropractors and Physiotherapists and focusing on musculoskeletal conditions. Luke massages professional athletes such as Bangarra Dance Theatre and the Australian Ballet. He treats injuries such as lower back, shoulder and neck pain, headaches, sciatica and whiplash by creating a nurturing and healing environment for every client. Luke’s passion focuses on empowering clients with all the tools they need to take control of their personal challenges. His main area of interest is injury prevention. Clients at Cremorne Physio benefit from his combination of an exercise program with remedial massage. Having played competitive sport and worked internationally in the entertainment industry, Luke understands the physical and emotional stresses we face on a daily basis, which is stored in our body as aches and pains. Effective and intuitive massage helps release this pain, strengthening our mind/body connection resulting in a happier and healthier individual. As for his free time, Luke enjoys watching movies that take him back to the days of slick-backed hairstyles and skinny jeans such as Grease or Staying Alive. He also loves salsa dancing – as long as his partner doesn’t show him up! Luke’s favourite holiday destination is Brescia in Italy, where he relishes yummy ravioli with a glass of red wine. Bellissimo!